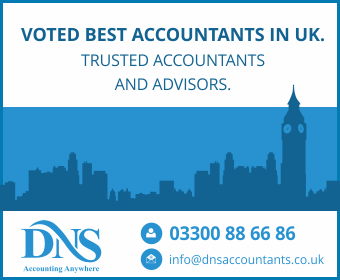 We, at DNS, have one agenda: help our clients with their business via accountancy. Our policy stands out from all other firms which has resulted in us successfully serving more than 1200 clients since 2005. We believe that by having more customers and increasing each customers’ profit, it would ultimately mean increasing our own profits. We have expanded our services to various areas of the world, providing experienced accountants in Surrey, Inverness, Watford, Halifax, etc. We have staff members, partners and accountants holding degrees from prestigious universities and institutes. They provide expert advice at the right time to our clients and offer services like tax planning, accounting, freelancing and consulting. We, at DNS, specialise in tax saving, accounting solutions, tax investigation and consulting. We help clients save their money and taxes and steady their finances. We manage their accountings and provide right advice timely for their business to flourish. All this, DNS does, while following the rules and procedures of the law, so your business accounts are completely in the right hands. Surrey is a county in the south-east of England. It is the most densely populated county in the South East region. Surrey is noted for being a particularly wealthy county due, in large part, to its proximity to nearby London, Heathrow and Gatwick airports along with access to major arterial road routes. It has the highest GDP per capita of any English county. Surrey has the highest GDP per capita in the UK and the highest cost of living in the UK outside of the capital. Surrey has more organisation and company headquarters than any other county in the UK. It houses electronics manufacturers including Nikon, Samsung, Toshiba, and Philips. The medico-pharma companies Pfizer and Sanofi-Aventis also have headquarters here, so does oil giant Esso. One of the largest fast-moving consumer goods multinationals in the world have their European headquarters in this city. 1. Chartered Accountants, Surrey: Chartered accountants, Surrey, hold degrees from prestigious universities and have knowledge in and out of the sector, which they provide to the clients, as and when necessary. Surrey accountants specialise in providing consultancy in corporate tax, corporate finance and account improvement and are trusted advisors to the clients. They provide secretarial services to their clients and are trusted to give the right and timely advice for their business. They work with passion, enthusiasm and dedication to helping the clients to the utmost level possible. 2. Tax Accountants, Surrey: Extending their services in the field of tax planning and advisory, tax accountants, Surrey help their clients minimise their taxes and other liabilities and work with start-ups, entrepreneurs, to raise and steady the finances and in acquisitions and disposals. These tax advisers, Surrey, provide custom made expert solutions for tax saving and manage the taxes of the clients to save money wherever possible, by looking into their business and the related problematic areas. Auto-enrolment is a legal requirement of a business to provide a Qualifying Workplace Pension Scheme to eligible employees. The Business must make a contribution towards employees’ pensions and has the responsibility to ensure that employer pensions are correctly calculated. Staging date is an element of auto-enrolment. It is the day when in law you must start complying with your new duties. You should receive a letter from the Pensions Regulator 12 months before your staging date. Eligibility of the employee depends on age, existing pension scheme, earnings, etc. An employer can choose to postpone enrolment of workers into the auto-enrolment scheme by up to three months. Business Growth initiative has helped thousands of clients to get more customers and increase their sales successfully to great amounts. We provide this initiative free of cost to our clients, which shows how serious we are to help them expand their business. This system is economical and can be implemented quickly. We have step by step instructions and strategies for its implementation so that it causes no trouble to the clients. The result of Business Growth is more customers. More customers for our clients mean more sales for them. More sale means more profit, and with their profit, comes ours. Thus it is really a two-way thing, in sync with our policy. Thus DNS helps you make more money in limited time via this initiative and helps in growth and development of your business. We, at DNS, cater to all your accounting needs, from accounting solutions and consultancy to tax management and planning. With our experience and enthusiasm to help as many clients as possible, we have extended our accounting services throughout the country, including Guildford, Reigate, Leatherhead, Reading and Maidenhead . With us, you don’t have to worry about your business accounts. We take care of them efficiently and personally in a timely manner, so you don’t have any trouble. We help you develop your business by acting as your personal advisor and provide services including tax advice, business development and fund management.